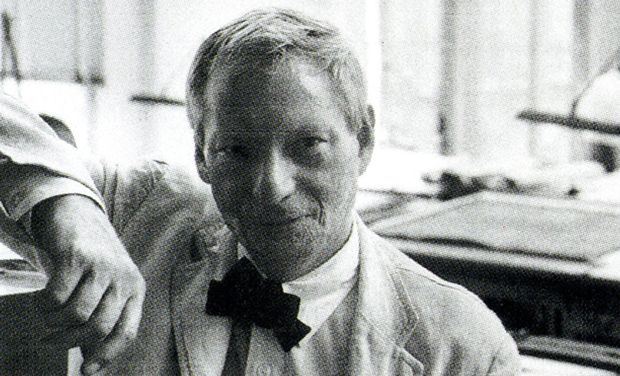 An architect way ahead of his time, Louis Kahn, was born on February 20, 1901 in Pärnu, Estonia. Kahn studied at Philadelphia’s Central High School and the Public Industrial Art School and got his architecture degree from University of Pennsylvania in 1924. After graduation Kahn worked as a chief designer at office of the City Architect in Philadelphia in 1926. During 1928-29 Kahn made a trip throughout Europe and started working with different agencies in Philadelphia once he got back to the US. Kahn always had a great interest in bringing about social changes through architecture. He founded his own office in 1935 and worked on various projects for the Philadelphia Housing Authority. During world war 2 he even designed houses for factory workers. 1947 was the year when he was assigned as the professor of architecture at Yale University. It was the start of a prestigious teaching career and he kept the post for ten years at Yale University and later became professor at the University of Pennsylvania. From 1950 to 1951 he was made the architect in residence at the American Academy in Rome. It was a huge achievement and a peak point for Kahn’s career. It was during this time that he got the opportunity to visit Greece, Egypt and Italy and developed his own basic approach towards architecture. He adapted classical style and used solid forms and durable materials in his own work and combined them tactfully with modern techniques. The very first masterpiece designed by Louis Kahn was the Yale University Art Gallery in Connecticut, which is still regarded as one of the most influential projects of Kahn. In 1961 the Graham Foundation for Advanced Studies in Fine Arts granted him scholarship to study traffic movements in order to design an efficient overpass system for them. Kahn then expanded his skills to international level and even designed two major projects in South Asia including the Indian Institute of Management in Ahmedabad (1962-74) and the National Assembly in capital of Bangladesh, Dhaka (1962-83). The National Assembly of Dhaka turned out to be one of the most appreciated works of Kahn across the world. Trenton Bath House in Trenton, New Jersey, 1954-1959. Richards Medical Research Laboratories in Philadelphia, Pennsylvania, 1957-1965. Esherick House in Chestnut Hill, Pennsylvania, 1959-1961. Jonas Salk Institute for Biological Studies in La Jolla, California, 1959-1965. Erdman Hall Dormitories at Bryn Mawr College, 1960-1965. National Capital of Bangladesh in Dhaka, Bangladesh, 1962-1983. Indian Institute of Management in Ahmedabad, India, 1962-1974. Kimbell Art Museum in Fort Worth, Texas, 1965-1972. Yale Center for British Art in New Haven, Connecticut, 1969-1974. Louis Kahn was one of the most influential and admired architects of his time and earned a lot of respect. The proof of it was the title that he got at the time of his death, ‘America’s foremost living architect’. Despite all this, at the time of his death, Kahn had nothing much in terms of finances and he even indebted. He faced a sudden death due to cardiac arrest on March 17, 1974 in a male restroom in New York.